This is my first review of Coolhaus but not my first visit. I visit Coolhaus EVERY time I go to Klyde Warren Park. Coolhaus’ cookie and ice cream choices are CRAZY. It is like they have a pair of dice with their favorite foods on them. They roll the dice and BOOM! there is the next ice cream or cookie flavor. Imagine potato latke and applesauce ice cream with a marbled rye cookie. Or fried chicken and waffles ice cream with a cinnamon toast crunch cookie. You can have it…if you are brave enough and willing to wait in line. 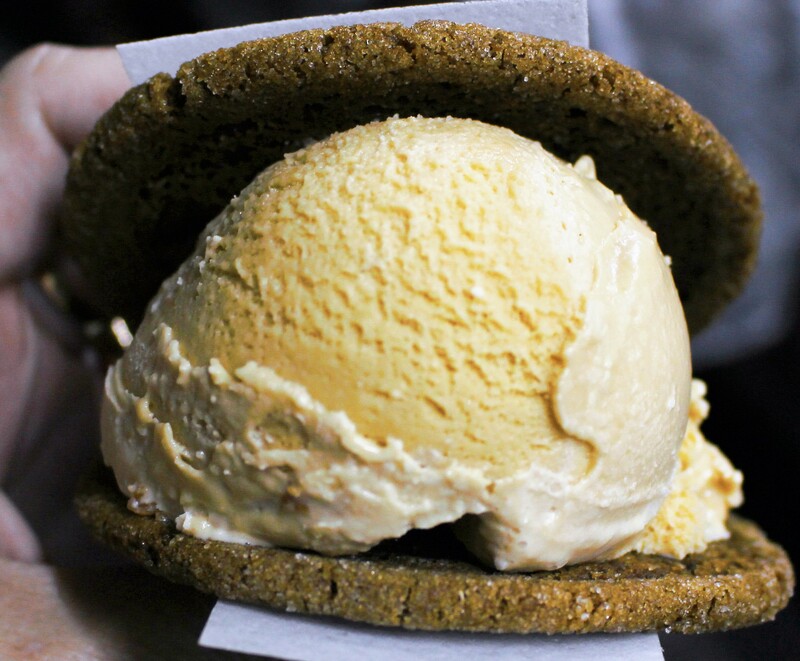 This visit I enjoyed the vegan ginger molasses cookie and salted caramel ice cream. The cookie was chewy and so good. The ice cream was creamy bliss. Together it was incredible. AND you can eat the wrapper! I wish I had one right now. Next on my list is balsamic fig and mascarpone ice cream on the double chocolate cookie. Go on and get in line. It’s worth the wait.